[Corrected, 4/20/16, 2pm. See below.] 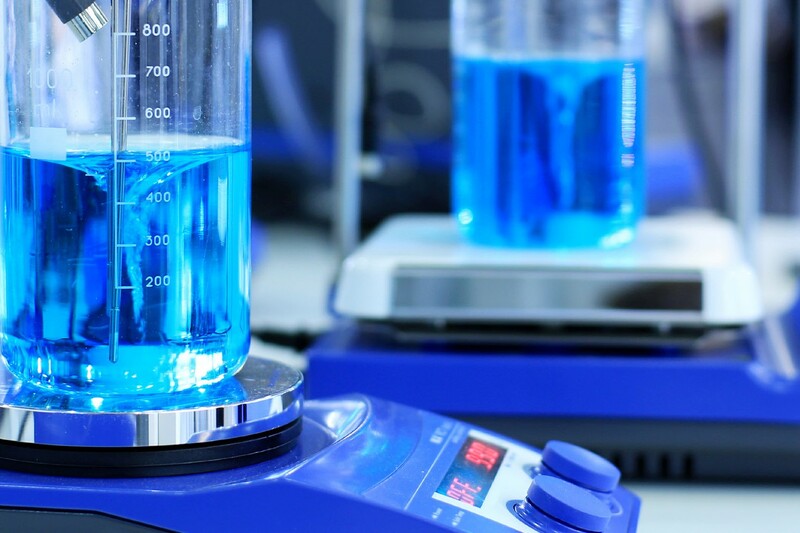 Second Genome, a South San Francisco, CA-based biotech using microbiome research to develop traditional small-molecule drugs, has tapped an unusual group of private investors for nearly $43 million in a Series B round of financing. The cash should take Second Genome through a Phase 2 trial for its lead drug, aimed at ulcerative colitis, and help turn its microbiome research capabilities into more drugs, said CEO Peter DiLaura. Second Genome began life as PhyloTech, with bacterial genome analysis technology from the Lawrence Berkeley National Lab that its founders intended to use for environmental cleanup. By 2011, however, the company had pivoted toward human therapeutics, lured by the trillions of microbes living in and on our bodies, especially in the gut. Instead of deciphering which “good” bacteria, delivered as a treatment, would help restore health in sick patients—which companies like Seres Health (NASDAQ: MCRB) and Vedanta Biosciences, both of Cambridge, MA, aim to do—Second Genome is making more conventional, chemistry-based drugs. Those drugs aim to block the molecular interactions between host and microbes—in other words, between the patient and certain bugs in his or her gut—that are causing disease. The first in its pipeline, dubbed SGM-1019, entered clinical trials in 2014 to treat Crohn’s disease, but Second Genome has since shifted its focus to ulcerative colitis (UC). [In this sentence, the word “irritable” was changed to “inflammatory.”] Both conditions are types of inflammatory bowel disease, with chronic inflammation causing damage to the lining of the gastrointestinal tract. Crohn’s can occur anywhere in the GI tract, while UC is limited to the colon. The strategic shift, says DiLaura, is a bet that Second Genome’s drug can be just as effective, less toxic, and cheaper than the drugs UC patients have to take if their disease doesn’t respond to initial treatment with a generic anti-inflammatory drug related to aspirin. SG-1019 should enter Phase 2 early next year, DiLaura said. The Series B round was led by the venture arms of two big drug companies, Pfizer and Roche. Pfizer and Second Genome said in 2014 they would conduct a microbiome study in obesity and metabolic disease based at Massachusetts General Hospital. Neither side has said anything about the work since then. DiLaura declined to comment on the Pfizer collaboration, but he did say that Pfizer’s investment is strictly cash for equity, with no strings attached, and that the microbiome remains an area of interest for the pharma giant. Second Genome attracted other atypical investors, including the Swiss private equity group Adveq, a tiny San Francisco fund called LifeForce Capital, and Digitalis Ventures, which was recently spun out of the Mars food group—think candy bars, pet food, Wrigley gum, and nutritional supplements—but remains affiliated with Mars. 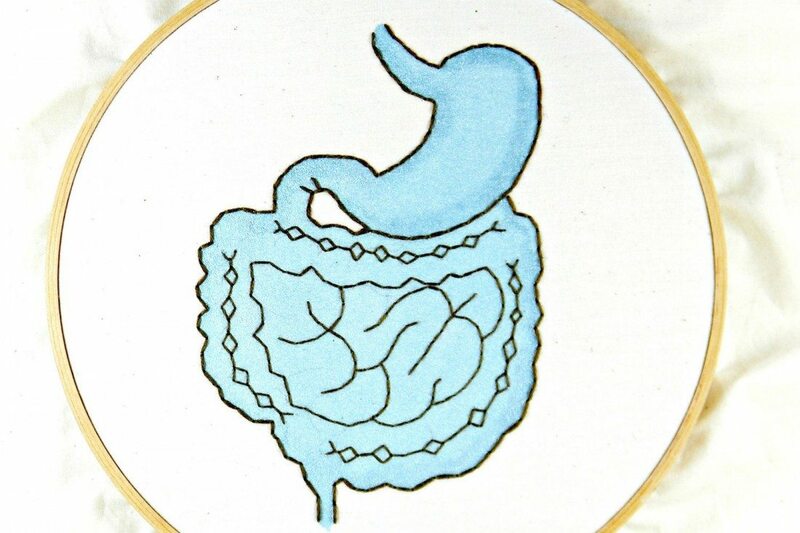 Image “Digestive System Anatomical Embroidery Hoop Art” courtesy Hey Paul Studios via a Creative Commons license.